If you haven’t had a chance to make it already, we are suggesting that everyone check out the Green Festival taking place in DC this weekend. We were very excited to have a chance to go yesterday and obtained lot of good information on greener products and practices. For more information about DC’s Green Festival, please visit http://www.greenfestivals.org/. The best way for us to learn is to ask questions. We all sometimes need a little push in the directions in which we should be going and often times, many organizations forget their roots. We all start learning from the minute that we are born. Once we get a little older, we begin to ask questions. We always want to learn more about you and what you would like to know about, so…We want to hear from you! What subjects are you interested in learning more about? Email your topic to Info@BDSHelps.com with Blog Response in the subject line. 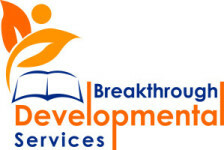 We’re on Twitter (www.Twitter.com/BDSHelps) and Facebook (http://www.facebook.com/pages/Hyattsville-MD/Breakthrough-Developmental-Services-LLC/70878610469)! It’s been a while since our last blog entry. It’s also been a very busy summer for us at BDS. We wanted to make sure that you all know that we are ready and excited as fall rolls around. We have many new ideas for services for the upcoming year as well. Our first change that we would like to announce is the renaming of our newsletter from the Dragonfly Times to the BDS Journal. Also, to make it easier to access our website, we have added an additional domain. The new address is http://BDSHelps.com. The old site is still operational and the new domain simply redirects you to http://www.BreakthroughDevelopmentalServices.com without you needing to type in the longer address. We have updated the calendar on the site to make it more user friendly as well. Finally, we have added a page for job announcements. If you would like for us to add a particular announcement for your child, please contact us at Info@BDSHelps.com. If you have any questions about the current announcements, please contact us at 240-355-0845. Did you know that Best Buddies International has an ebuddies program? I found this out while searching for potential pen pal programs for a client. If you would like to find out more information about the program, visit their site at http://www.ebuddies.org. I can’t recommend the program per say, because I have never tried it. However, I can provide you with the website for educational purposes. May sure that you read all of the fine print and other information then make a decision about the program and let me know what you come up with. You can post your responses in the comment section of this blog.